We’re making it easy for you to stock up and save money in the Emmet Street Creations Etsy store. Our special 3 for $12 listing lets you buy 3 bars of handmade soap for only $12.00. Be adventurous and select 3 different items or load up on your favorite scent, the choice is yours! Know someone who needs to stock up on handmade soap? Why not share this post with them? It’s easy! Simply use one of the sharing buttons below (Note: If you’re reading this via e-mail or reader, you’ll need to link to our website to use the sharing buttons). Cyber Monday sale! Stock up and save! Stock your stocking (or Spa Day or Tea Lovers gift basket…) with Emmet Street Creations products and save! 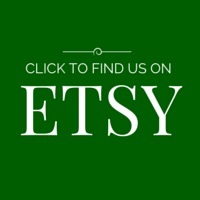 Spend $15.00 or more in the Emmet Street Creations Etsy store and save 15%. Simply enter the code CYBER2015 at checkout. The code expires tonight at midnight, so don’t let this opportunity pass you by! Know someone who loves handcrafted gifts and saving money? (Isn’t that everyone you know?) Why not share this coupon code? It’s easy! Simply use one of the sharing buttons below (Note: If you’re reading this via e-mail or reader, you’ll need to link to our website to use the sharing buttons).